Our family endeavored to explore everything great about Hawaii. Chinatown certainly became a favorite. In addition to the people watching and the noodle houses, we enjoyed celebrating the Chinese New Year. 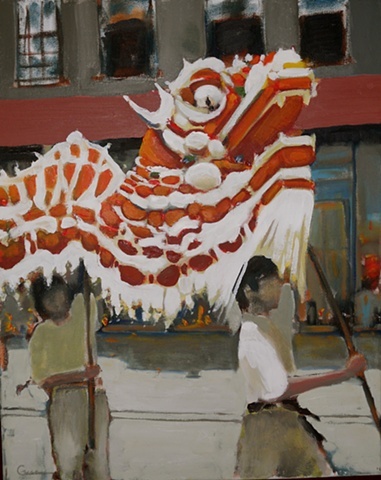 The festive atmosphere captured here in the bright red dragon stands out from a subdued background. Pressed among the crowd we awaited our chance to place a coin in the Dragon’s mouth for luck.